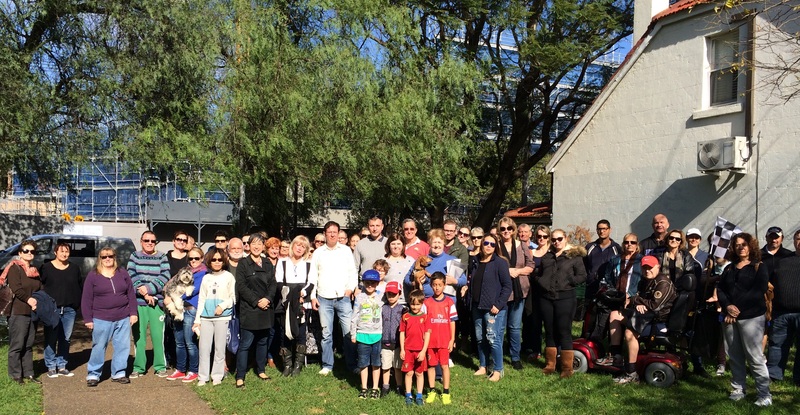 Residents on and around Alice St in Newtown are celebrating after the Land and Environment Court refused an appeal by the development company Al Maha to expand their Alice St development. Al Maha’s Development Application (DA) to add additional storeys to the block was refused by Marrickville Council twice earlier this year. Both Council and surrounding residents are concerned that development beyond the approved 5-storeys will be too high-density for the area, where public space, amenities and public transport are already under pressure. “This is a fantastic victory for local residents who have worked together to fight Al Maha’s attempts to build more storeys despite serious community concern. “Developers like Al Maha need to learn to listen to community concerns, instead of trying to force through their short-sited plans for gargantuan developments that improve their profits but wreck our suburbs. “Marrickville Council made the right decision by knocking back the expanded DA – twice – and it’s shameful that Al Maha tried to take advantage of state planning laws that favour developers to push it through. “It says a lot that even with biased planning laws that favour developers this expanded development didn’t get through. “This outcome proves that communities shouldn’t sit back and let developers pillage their local areas. A concerted community campaign can make a real difference. “Marrickville Councillors have been proud to work alongside the local community to ensure that the Alice St development remains at a reasonable density. “We had good reasons to deny the expanded DA and we’re understandably happy with the decision of the Land and Environment Court.